Augmented reality (AR), best characterized by a real-time blending of virtual objects into real-world settings, is no longer science fiction. Now accessible by most smartphone cameras, AR has made the move to the mainstream. And brands have taken notice. Deloitte identified that almost 90 percent of companies with annual revenues of $100 million to $1 billion are now leveraging AR or VR technology. For smaller firms, a poll conducted by Purch revealed that 10 percent of marketers utilize AR, and 72 percent are planning to in the coming year. AR can do so much more than simply entertain. Early adopters have firmly established AR’s potential. Not only as a marketing channel but as a brand differentiator. It allows a new level of convenience, speed and can leave a lasting brand impression. But beware. AR ≠ Physical + Digital. The whole must be more than the sum of the parts. Developing AR for the sake of having the technology will fail. Using AR to make your brand appear innovative can be viewed as forced. AR created as a gimmick may generate some buzz, but it will likely be short-lived. If your AR experience needs a marketing campaign to gain users, you’re doing it wrong. If AR is your marketing campaign, you’re doing it very wrong. Provide a meaningful and branded interaction. Play an authentic role in the communications. Be a gateway to a new reality of brand engagement. There needs to be substance to the experience. It has to provide value. Let’s look at how different brands has approached this challenge. AMC, Heineken, Starbucks, Heinz and many other brands have launched “interactive object” AR features. I’ve read praise for such experiences. That they “turn a static image or object into something full of movement and wonder” according to SmallBizDaily. Each brand is an excellent example of the wrong way to do AR marketing. The augmented object doesn’t enhance the real world environment. It’s simply projected onto it, or worse it’s an unnecessarily complicated step to access website content. In the short term, this may win the wow factor and draw people into an experience. But these brands are relying on novelty. As AR experiences become more commonplace, such “marketing” will have little impact for the amount invested. If your goal is to trigger digital content that does not require the physical environment, using AR is overkill. And will likely result in lower interaction rates than if you used a simple digital marker. A Purdue University study compared a print version and an augmented reality version of the same car ad. The result? The print ad retained 82 percent of the factual information. The AR ad only 59 percent. Using augmented reality impeded communication because the focus was on the technology rather than the message. These brands are forgetting about creating added value for their users. You need to go beyond the initial wow factor. You need to create something functional. To understand how best to integrate augmented reality with your brand, think carefully about how your target audience will actually interact with it. Effective AR marketing does not give people a reason to look at their phones. But rather through them to the augmented world beyond. The augmented content must in some way enhance the physical world it is being superimposed into. When brands understand why AR should be more than a marketing gimmick, we see some powerful applications of the technology. The Drum reported that AR experiences “can lead to dwell times of over 85 seconds, interaction rates of up to 20 percent and click-through rates to purchase of 33 percent – numbers that dwarf anything across print, online or television advertising”. Let’s dive into six augmented reality marketing examples to understand how to move AR from novelty to compelling use cases. If you remember the 12 minutes when Pokemon Go was popular, it was enormously popular. And it played a critical role in training consumers that the camera can do more than capture images, it can also be interactive. Pokemon Go failed because after the initial week or two, there is not much new to learn with only basic gameplay to begin with and few new features introduced. Meaning there were diminishing returns on screen time investment for the casual player. For AR to be impactful long term, it has to do more than place virtual characters into real environments. But we also learned that cute characters and local marketing are a powerful combination to lure people to specific locations. Google is capitalizing on this for Maps. Many people can’t actually read a map. And often the small blue dot is not so helpful. So you begin to walk and see if it is moving in the same direction. Which often it’s not. Augmented reality can help solve this consumer challenge. 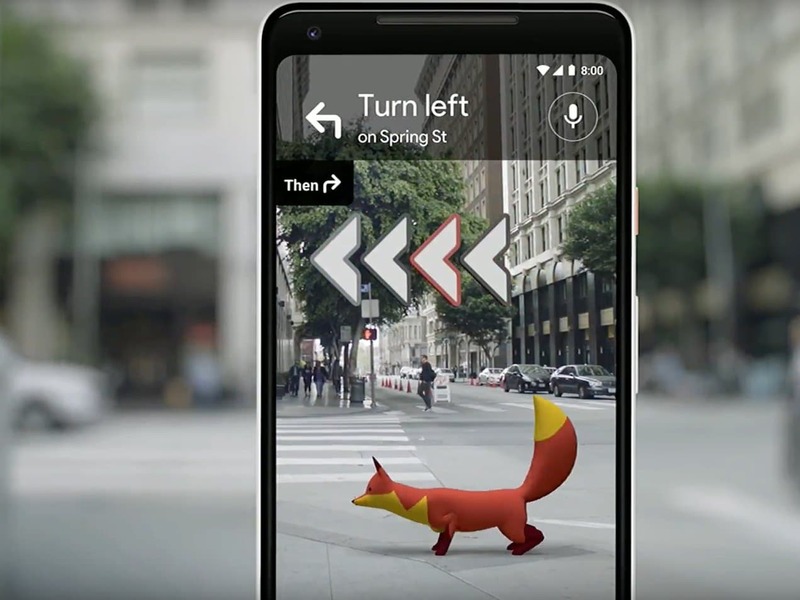 It was announced at Google I/O ’18 that Maps’ Walking Navigation is being enhanced by AR with visual overlays and an animated guide to help you find your way. Tour companies could overlay “how it was” on historical places to create a virtual window to the past (developing upon The Guardian’s approach form 2014). Department stores could show the optimal path to collect all items on a shopping list, highlighting relevant offers on the way based on past buying behaviors. Restaurants or food delivery services could have an AR menu for patrons to see each dish before you order so you can see the portion size and ingredients. AR visualizations can become a valuable part of an environment, augmenting the real world with relevant information. AR is being used for big installations by big brands. The arguments for such interactive billboards is that they are keeping out of home advertising alive. Passersby get to immerse themselves in branded content and the resulting engagement is inclusive and sparks conversations. When else do you see people standing around staring at billboards? Sure. You could go to the mall and dance with penguins thanks to VISA or pat a polar bear with Coca-Cola & WWF. But such a marketing tactics attract attention because AR is right now a novelty. This effect will wear off quickly. Do such interactions leave an impactful impression that will change user behavior? 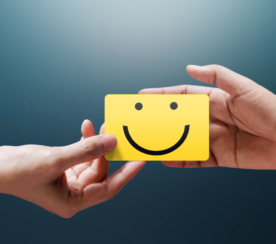 Will consumers remember the brand message or just the fun experience? That depend on if the experience ties directly into the brand’s value or message. The Walking Dead Scary Shelter is a perfect example of how to do Out-Of-Home AR right. Bringing the emotions of the show, it’s value, directly to the viewers. Snapchat lenses were a major driving force behind the augmented reality taking to mainstream. Along with Instagram and Facebook, Snapchat helped to teach consumers that smartphone cameras can be interactive. Lenses became a million dollar revenue generator for the company, thanks to brand sponsorship. The value is measured in views and the price tag is high. It costs more than double the price of a Facebook ad to reach the same number of eyeballs. AR can get you eyeballs. But it’s even better at driving actions. You can take the technology behind lenses and turn it into a virtual try-on. Test that bold red lipstick with Sephora. See the effect of months of skin care in the space of a moment with Modiface Skin AI. Create custom-fit glasses based on a 3D scan of your face with Topology Eyewear. By featuring your customer as the model, you remove any doubts about what the product will look like in real life. The personalization is perfect, and so too is the convenience. No need to go to the store. No need to deal with returns when the product isn’t quite right. This is not only beneficial for the user experience, but the cost saving for your company can be substantial. It doesn’t always have to be a hard sell of try and buy. You could run a virtual makeup tutorial for the perfect smokey eye, mentioning the products used as you go, a more valuable user experience than watching a video of someone else doing it. “Try before you buy” was the axiom of offline. “Free returns” the conversion mantra of online. Neither is as powerful as product visualization in AR. IKEA perfectly incorporates AR into their marketing strategy in a way that solves a real problem. You can understand how a piece of furniture, in the exact proportions, will look like in your own home. Allowing customers to test the product as they would already own it, reducing returns and regrets. And IKEA is not alone. WayFair (via their app) and Target (via their mobile site) have both integrated AR into their digital catalogs. Amazon (via their app) has also begun to offer preview-in-place functionality on thousands of items. But it’s not just big retailers exploring AR product visualization. With Art.com you can preview over 2 million pieces of art and customize the frame through AR. Similarly, Dulux allows you to visualize what color to paint your walls. Each of these is a practical use case where augmented reality adds significant value to the experience. With AR, you are changing the current visual state of a space. To see something is more impactful than just trying to visualize it in your own mind. It’s a powerful trigger for that “have to have it moment.” Not only making the decision easier, but making shopping more personalized and fun. The key challenge is how to let customers know you have the option of virtual try on. Including an AR component in your existing app is one proven method. But you can get more creative. Stockless pop-up stores with images as markers, billboards, magazine ads – each of these is an opportunity to trigger an augmented version of the product. Such a strategy may have given Lacoste’s AR virtual try-on experience more reach than the 15,000 users they achieved via their app. Virtual try-before-you-buy, to show products in the context of how they will actually be used, are ideal ground-level use cases for how marketers can use AR. In other marketing channels, there is a much boarded gap between the experience and the product. 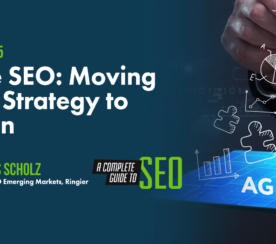 What’s more, the scope of the channel often requires generalized messaging. With AR, you are marketing the experience of the product to one person. Augmented reality offers the opportunity to deepen the digital storytelling experience. A new path that leads away from the abstract depiction of objects on a flat screen towards a more visceral sense of real life scale and physicality. Here we must pause to mention that in virtual reality, where viewers are immersed in a virtual world, also has powerful storytelling capabilities. Both AR and VR can make characters come alive. In VR you live in their world, while in AR can characters step out of the screen into your world. AR has the potential to be as disruptive as TV. Not only as a new technology but a whole new medium which will develop its own conventions. Because the audience is no longer a passive recipient of a story when watching it on the screen. They become active participants – interacting with it through the screen. It’s powerful, as this kind of engagement elicits more emotions and will leave a longer lasting impression. Yet, the purpose of AR storytelling is lost of every brand that animates print (sorry TIME) or objects (sorry 19 Crimes). This is not leveraging the true power of augmented reality. It’s not much more valuable than using computer vision to trigger a video. Storytellers need to focus on emotionally connecting, not trying to create an improved version of yesteryear’s QR-codes. Media companies including The New York Times and Washington Post are exploring the potential of augmented reality to add value to news reporting. To help to satisfy the craving of audiences to get closer to the story. Their Olympians AR feature stories try to break this mold. Encouraging viewers to actively engaging by walking around the life-sized athletes suspended in action or see athletes race across your table. I can appreciate how such an experience adds new dimensions and a deeper understanding. But this felt more like a classroom than a story. For show-and-tell augmented reality I prefer Google Expeditions or the BBC’s Civilisations augmented reality app designed to complement the TV show. What’s more, there is no relevance between the AR story and the physical environment. It’s a simple case of ASTTW (“Add Something to the World”) in contrast to the more valuable LATWATMSAI (“Look at the World and Tell Me Something About It”) – the two cases for mixed reality identified by Benedict Evans. The impact would likely be heightened by taking the user into the world of the object via virtual reality, more so than bringing the lone object to the world of the user via augmented reality. The obvious challenge here is that many smartphones are now AR compatible, making the technology accessible. While VR requires a dedicated headset and for brands has a higher development cost. A different approach to AR storytelling is taken by Quartz, illustrating text-based stories with augmented objects. The 3D object is not trying to tell the whole story itself, but is replacing flat photos and videos as a more impactful visual communication tool. Providing additional context to the news story told through text. John Keefe from Quartz stated that two-thirds of people who are presented with the possibility of seeing something in AR will do so. Indicating a desire of readers to get closer to the story. While these approaches may not yet be perfect, publishers are taking steps in the right direction for AR. Testing ways to to extend the story beyond the edges of a screen. A first exploration into what AR journalism will look like. The next step is to refine AR storytelling so that there is a utility to it. Rather than ASTTW, we focus on storytelling that depends on the environment in which you are standing. So far we have focused on augmented reality experiences that add objects to the real world. But there is just as much opportunity in using AR to help consumers focus on specific items that would otherwise be lost in the array of visual clutter. Let’s take the situation of shopping in a supermarket. What I don’t mean by focusing user attention is some dystopian shopping experience where you’re bombarded by special offers. By focusing user attention, I mean truly useful applications for an easier in-store experience. Package design in recent years hasn’t made nutritional information easily accessible. Rather than staring at small print labels or Googling it for every individual product, why not utilize AR to highlighting food that fits my dietary requirements, be that without nuts, or gluten-free or low calorie? Similar selection bias could be utilised when trying to find the right bus in a new city, looking for a dog friendly cafe nearby or identifying the most relevant contacts at a networking event. We can’t yet design for a world where we presume people are wearing AR glasses. Google Goggles had major social issues and Snap Spectacles never went mainstream. Some more stylish “you don’t know I am wearing them” models of AR glasses are in the works, but I’d say are at least a year off. So we need some form of screen if we want our AR content to be consumed at scale. Which leaves us for the time being with smartphones as the most common device for AR experiences. If you already have a native app, AR can be a useful addition to further the customer journey and make your app more valuable to users. Yet brand-focused native apps still suffer from the fundamental issue that people don’t want to download them and rarely use them unless a habit has been created. So for your AR experience, think beyond only native apps. Websites, thanks to Chrome, Firefox and other browsers working to become compatible. Banner ads, known as ARDP (Augmented Reality Digital Placements). Facebook Messenger bots that support augmented reality features. Social networks, such as Snapchat and Instagram. Cars. Jaguar and BMW are experimenting with smart windshields to offer AR content. Bus stops have been used as an augmented reality delivery mechanism. There are a myriad of development tools, the main two being Apple’s ARKit and Google’s ARCore. Add Facebook’s AR Studio into the mix, and the compatible mobile device base for augmented reality is almost 1 billion people. These frameworks have also led to a significant decrease in development costs. 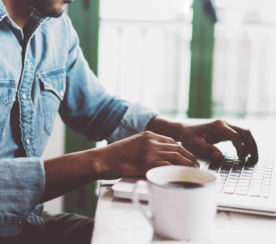 So, are you ready to bring new realities to your users? Novelty won’t build brand loyalty. 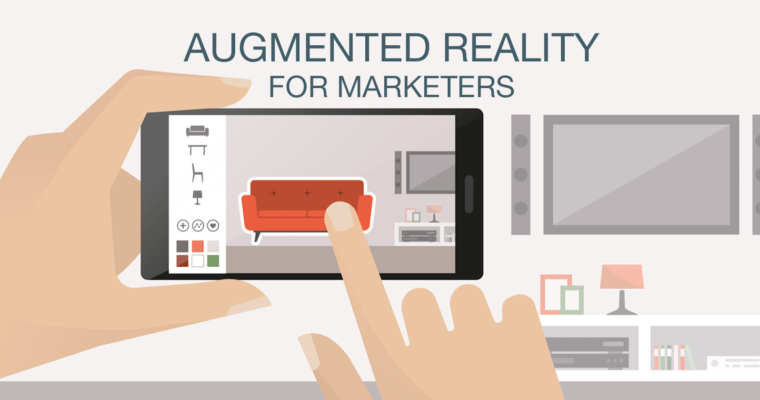 Augmented reality marketing has the potential to genuinely enhance user experience. In 2018, the device will likely be a smartphone app, although there are a wide variety of delivery mechanisms available. AR development has become affordable. Now is the time to establish you augmented reality marketing strategy. Let’s enhance the world. Featured Image: Created by Jes Scholz, May 2018.